These links can be used to make a tax deductible donation or a non-tax deductible fee payment for services, using either your credit card (Visa or Mastercard) or a deduction from your bank account. You may select one-time or monthly charges for donations. We use a secure system with the EFT Corporation. You do not have to be a Parishioner to participate. Click here to give a DONATION online. A legacy gift can take many forms, such as a simple bequest, as a part of your estate plans and can be of great benefit in helping fulfill your personal financial objectives. The link below contains more information on Legacy Gifts. 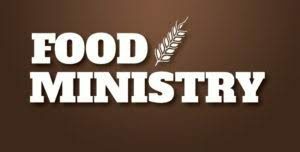 Parish fund used for maintenance needs of the church buildings and property. Your generosity is appreciated. Parishioners can permanently memorialize or honor a loved one, family member or a friend by making a donation for a leaf on our Tree of Life . 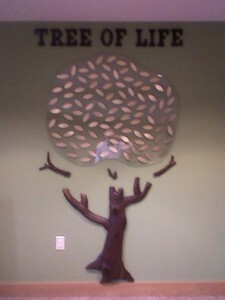 The Tree of Life is located in the Narthex. Parish families are invited to sponsor one of the many flowerbeds around our parish property. Families are welcome to purchase the flowers and plant them (what a great family project! 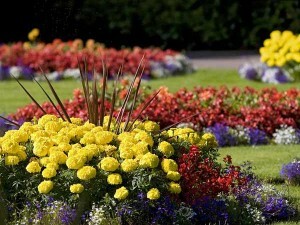 ), donate the flowers or make a donation and we will purchase the flowers and plant them. A sign will be placed on each flowerbed with the name of the sponsoring family.